May the original live-action ‘Teenage Mutant Ninja Turtles’ still hold an ultimate place in all our hearts! The original 1990 Teenage Mutant Ninja Turtles film is still considered a nostalgic favorite by 80s and 90s kids alike. Much attention has been given to the film’s faithfulness to the darker tone of the original TMNT comics, but rarely discussed is how well the film works as a 1990s action movie. In that context, thanks to excellent choreography and a seemingly blasé willingness to brutalize expensive rubber costumes, it actually holds up quite well. 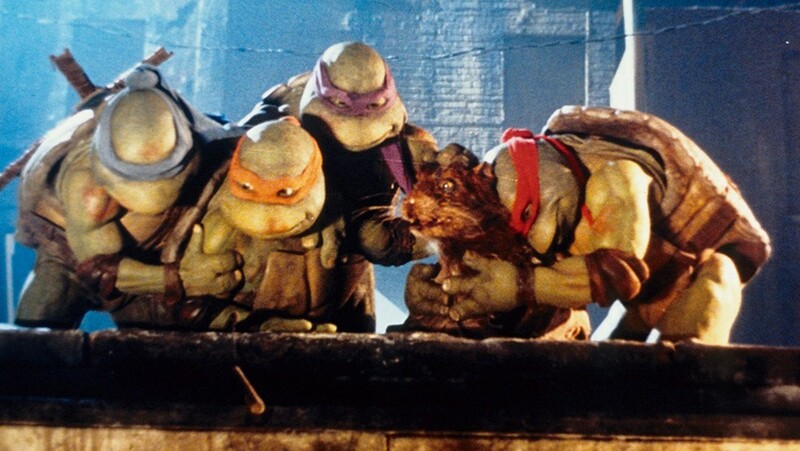 The story is simple: Leonardo, Donatello, Michelangelo, and Raphael (voiced by Brian Tochi, Corey Feldman, Robbie Rist, and Josh Pais respectively) are four radioactive, crime-fighting turtles. Taught all they know by their mutated rat sensei Master Splinter (voiced by Kevin Clash), they spend their days combating criminals, cracking one-liners, and dwelling in the New York City sewers. However, a crime wave conducted by a ninja organization known as the Foot Clan is sweeping across NYC, headed by the mysterious Shredder (James Saito). 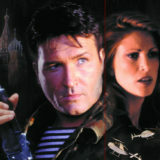 Investigative reporter April O’Neil (Judith Hoag) looks into the Foot, only to be shut down by her boss and targeted by Shredder for her trouble. After being rescued from an attack by Raphael, she becomes the Turtles’s link to the topside world. 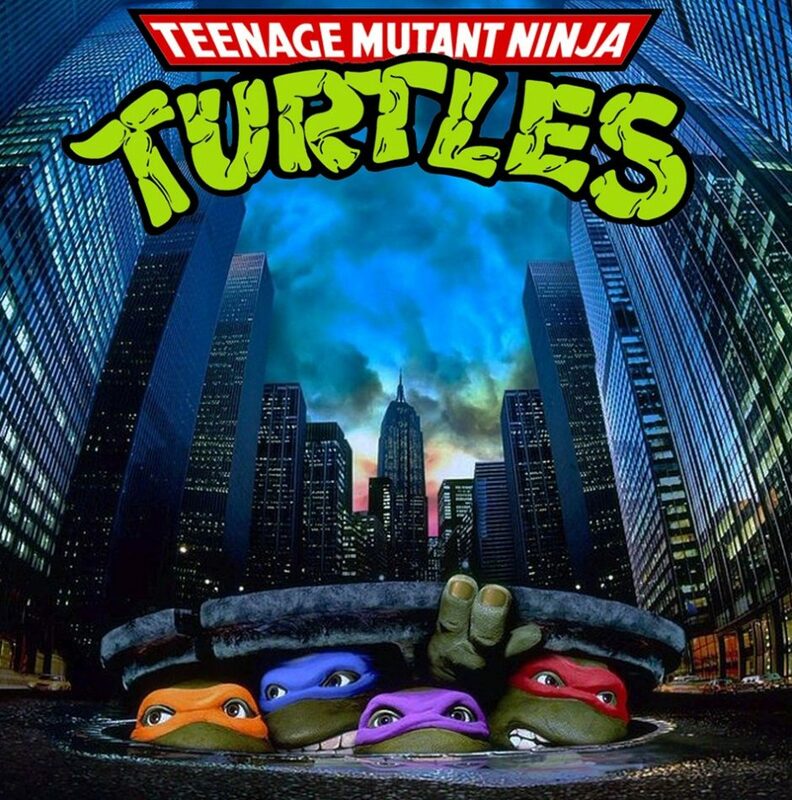 When their sewer home is invaded by the Foot and Master Splinter kidnapped, the Turtles and April resolve to take down Shredder with the additional help of street vigilante Casey Jones (Elias Koteas) and troubled Foot recruit Danny Pennington (Michael Turney). One distinguishing mark of the movie is its dark and gritty aesthetic. The set design and art direction are phenomenal, going for a sense of urban squalor. Everything looks lived in, grimy, even the more whimsical sets. The Foot Lair in particular looks like a 1990s riff on the Pleasure Island of Disney’s Pinocchio, complete with skateboard ramps, neon lights, and arcade games. I hesitate to say the tone is dark and gritty too, since there are corny jokes and moments of slapstick aplenty, but the story takes itself seriously when it needs to. 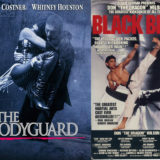 The script is tight and focused, never dragging out the plot and giving the viewer tons of memorably staged fight scenes in which stunt performers in rubber turtle suits work martial arts miracles. Aside from being fun, the action scenes move the story forward, dragging the Turtles into ever more treacherous territory—so treacherous that some parents felt the movie was too violent for children. The violence was also decried some of the crew: both Hoag and Jim Henson (whose Creature Shop provided the still-effective Turtle costume and Splinter puppet) were put off by the amount of aggression in the finished product, finding it excessive. But the violence isn’t excessive—it’s made clear that fights with ninja weapons tend to have major physical consequences, even if you are a giant talking turtle. The best example of this is the rooftop fight sequence, where an outmatched Raphael attempts to fend off a swarm of Foot soldiers before they invade April’s apartment. The choreography is excellent there, imaginatively staged and fluid, which is the case throughout the entire movie. Fun and Violence – Turtle style! In fact, the apartment fight scene might encapsulate so much of what makes the original TMNT movie appealing: its heady mix of action, humor, and genuine emotional weight. The fight choreography is great, shot and edited with real verve, infused with some slapstick but not so much that it takes away from the menace of the enemy forces (something woefully lacking from the sanitized, parent-friendly action scenes in the two TMNT sequels). 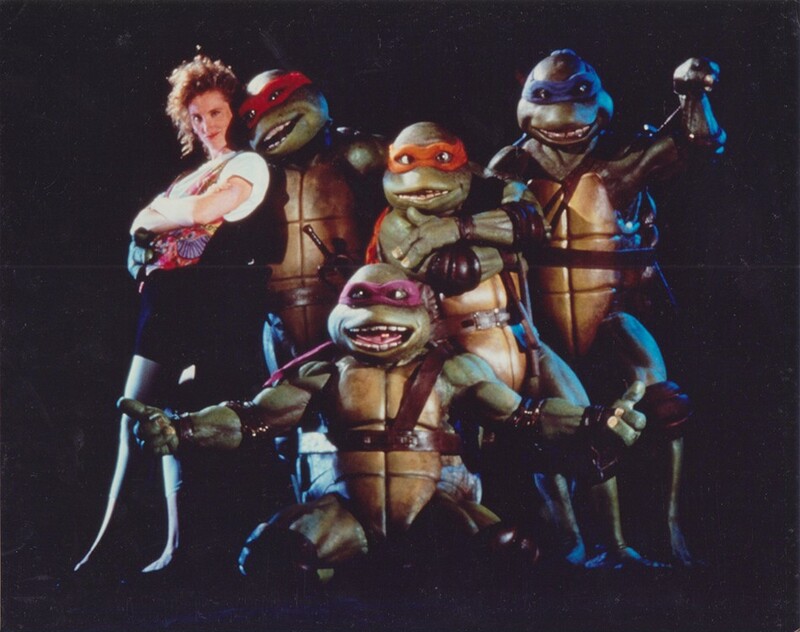 The first half of the scene cuts between Raphael fending off the ninja army on the roof and April showing her late father’s junk shop to the other three turtles, bonding with them over the loss of a father. Actually, TMNT has a few pivotal quiet scenes in the same vein which give the audience time to breathe between the major action set-pieces. The script gives the audience time to get to know the turtles, and flesh out their relationships with each other and their human friends, lending the action scenes more weight when we realize just what is at stake. 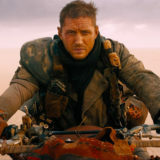 These slower scenes give the film character development which make it a far more satisfying experience than the shallow exercise in money-grubbing it could have been. I won’t say every criticism of this film is unfounded. The ending confrontation is rather anti-climactic, especially after the excitement and imagination of the previous fight scenes. There are times when you can see through the seams of the turtle costumes (including one horrifying moment where Donatello opens his mouth wide and you can see the actor’s face inside the back of his throat!). These are minor quibbles though. For those seeking a 1980s/1990s nostalgia fix, TMNT 1990 satisfies. However, if you weren’t raised on turtle power and all you want is a good, unpretentious action flick as exciting as it is hilarious, it works just as well. 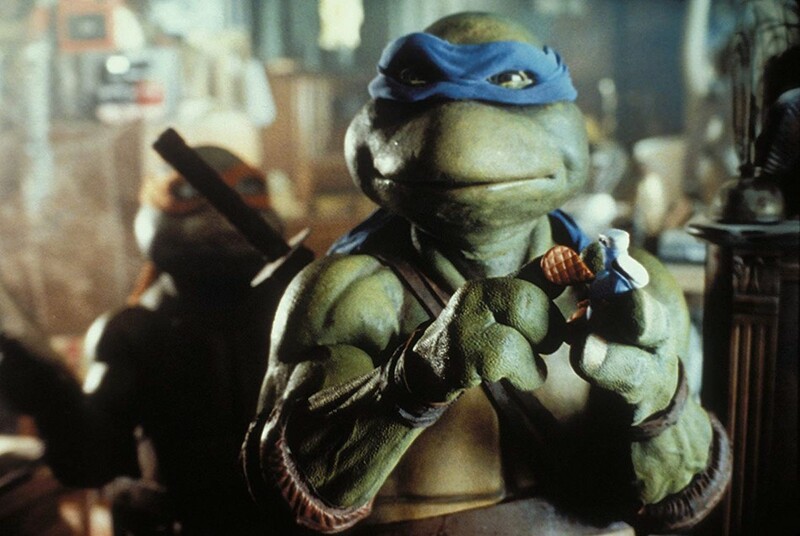 Do you remember TMNT (1990)? Let us know your thoughts in the comments or on our Facebook page! Previous story What Ever Happened to the Planned Rambo TV Series?